A recent episode of the A&E series “Longmire” that featured a criminal social worker who took American Indian children away from their families to collect federal money could happen but is highly unlikely, social workers said. The episode also perpetuates stereotypes about social workers and fails to show the present-day strengths of Native American culture, social workers said. “While entertaining, the show appears to be no more an accurate depiction of social work practice than other thrillers (say the Dirty Harry movies) are accurate depictions of law enforcement,” said Anthony Bibus, DSW, LISW, a social work professor emeritus at Augsburg College in Minneapolis. 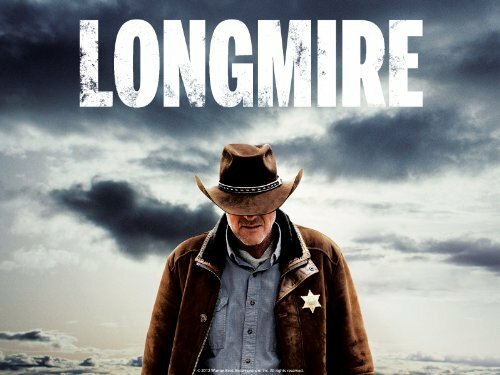 “Longmire” (Sundays at 10 p.m.) is a modern Western that centers on laconic Wyoming sheriff Walt Longmire (actor Robert Taylor), who is recovering from the death of his wife. In “Dog Soldier,” which originally aired on July 1, Cheyenne children who have been put into foster care are kidnapped by a mysterious figure who the children think could be a heroic Dog Soldier from tribal history. It turns out unscrupulous social worker Crystal Shoemaker (Rebecca Tilney) and an accomplice at a group home are part of a scam that involves using trumped-up abuse and neglect charges against Cheyenne parents to take their children away and put them in foster care. Shoemaker and her accomplice then split the thousands of dollars in extra federal money they receive for putting the children in foster care. However, the Cheyenne fight back by kidnapping their children from foster care and bringing them home. A nervous Shoemaker ends up murdering her accomplice and blaming it on a Cheyenne man to cover her crimes. 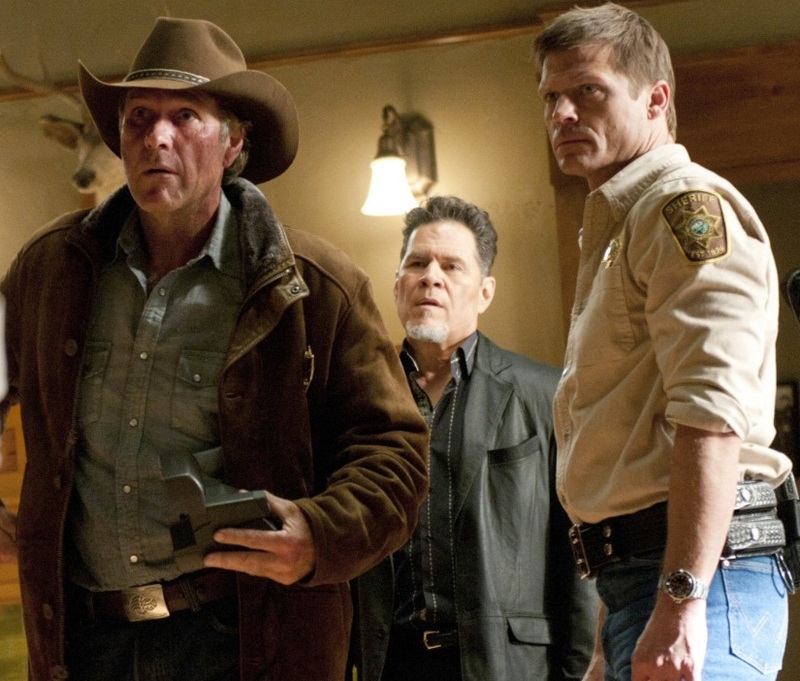 When Longmire figures out the scam and confronts the social worker about it and the murder they have a chilling exchange (To watch the scene on IndieWire click here). Shoemaker says no Wyoming jury would believe a social worker who has shown such commitment to children would do such crimes. “They will see an articulate, compassionate white social worker accused with circumstantial evidence,” she said. 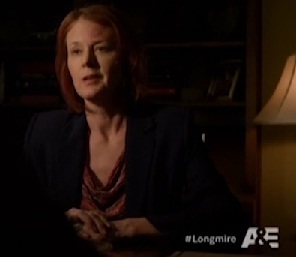 “You’re right, they won’t see the cynical, burned out sociopath just out for herself,” Longmire responds. Social workers said the “Dog Soldier” episode contains some truth about the state of child welfare in American Indian areas but exaggerates the situation. The Indian Child Welfare Act (ICWA), which was enacted in 1978, gave American Indian authorities the right to self-govern and to oversee child welfare issues among tribal members. Scene from “Dog Soldier.” Photo courtesy of A&E. ICWA was a drastic change from the previous 100 years, when the U.S. government backed efforts to forcibly remove American Indian children from their families and assimilate them into “mainstream” society by forcing them to learn English and adopt Christianity. 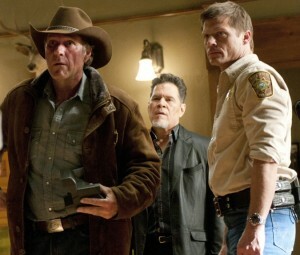 Bibus said under ICWA the parents of the children in the Longmire episode would have had legal standing to object to Shoemaker removing their children. However, Julia “Bunny” Jaakola, a Native American social work graduate who is coordinator of the behavioral health department for the Fond du Lac Band of Lake Superior Chippewa in Minnesota, said unless there is some advocate or tribal social worker involved to help the parents their children could have still been removed. Meanwhile social worker Teri Cardwell, coordinator of special services programs at St. Vincent’s Hospital in Indianapolis, had other concerns with the episode. Cardwell is a Native American of Cherokee and Shawnee heritage. “First, social work is inaccurately portrayed in the media as the profession that removes children from families,” she said via email. Cardwell also said there is a lack of knowledge among the social work profession about the Indian Child Welfare Act and other legislation that affects the relationships between indigenous people, the tribes and the government. And the media rarely gives a “balanced, realistic” portrayal of Native Americans. And despite the fact ICWA passed more than 30 years ago social workers, including those who are Native American, have a long way to go to build support in some American Indian communities. “Just being a social worker who happens to be a member of a tribe and just working on my own reservation there is a lot of suspicion and distrust of social workers,” Jaakola said. Social workers are committed to equal and fair treatment for all. To learn more visit the National Association of Social Workers’ Diversity and Equity website by clicking here. And to learn more about the Indian Child Welfare Act visit a website that explains the law at NASW’s “Help Starts Here” website by clicking here.